March 27, 2017	Britni Blog, DK Blog, Geoff Blog, Jim Blog, Jon Blog, Kirby Blog, Neil Blog, What's Happening in BOB Country? We’re so excited to announce our new partnership with Terri Clark, and will be airing her 4 hour long show every Sunday afternoon from 1:00pm – 5:00pm! 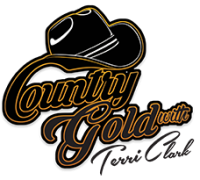 Country Gold, hosted by Terri Clark, is a music-intensive, fan-interactive program featuring special guest artists and country classics, airing on more than 100 radio stations. Click here for a sneak preview of this week’s show!